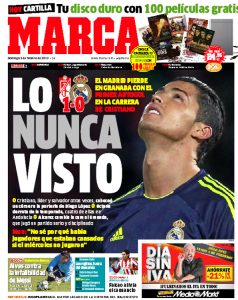 Real Madrid - Newspapers 3/2 | The Real Madrid Fan! 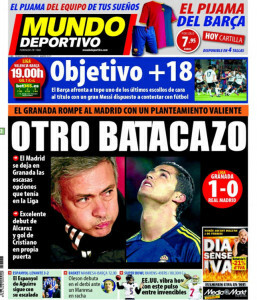 Real Madrid news from front pages of Sports dailies in Spain. Mourinho: "Some players were tired because they played 90 minutes and there were others who were tired even if they did not play against Barca"
Mou: "Not that there were players who were tired since they did not play on Wednesday"